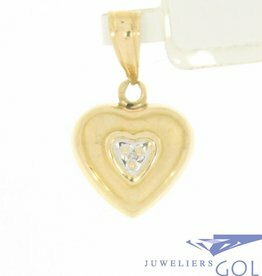 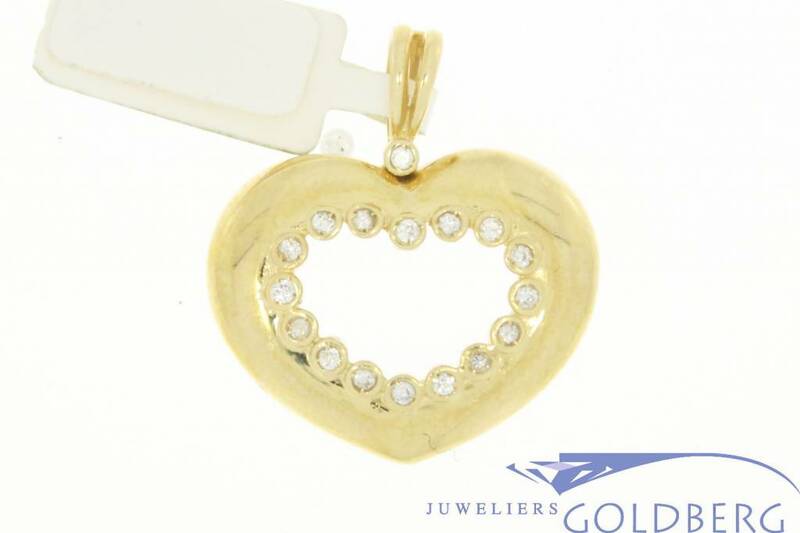 Unique, sturdy and heavy 14 carat gold open heart-shaped vintage pendant. 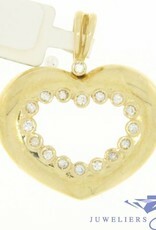 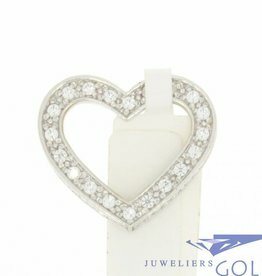 The heart-shaped opening in the middle is surrounded by 17 zirconia's. 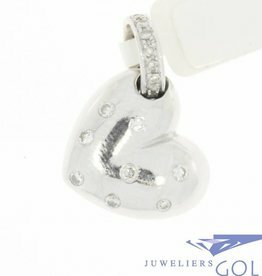 The length of the entire hanger (incl. 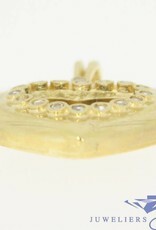 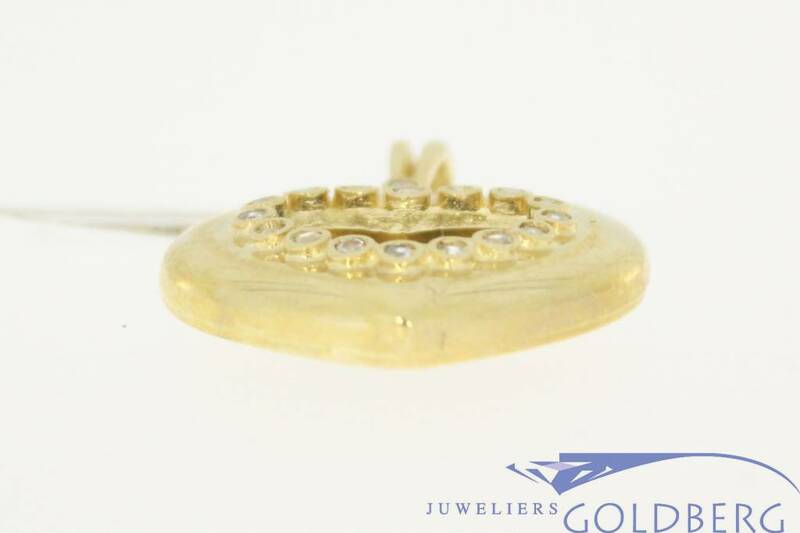 the eye) is 28.5 mm, the width is 26.5 mm and the weight is 10.4 grams.